1175 Soldiers Field Road, Boston, MA 02134. 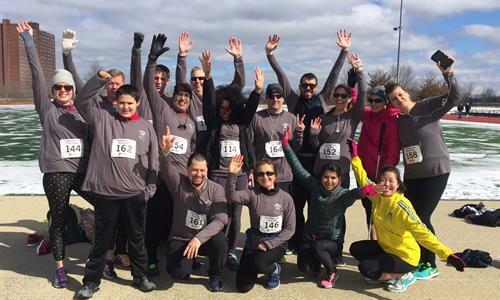 Harvard’s not-for-profit financial cooperative is organizing a team for the Race Cancer Foundation 5K series along the Chuck this summer and warmly invites Cambridge Chamber members to join us. For each race completed as a member of Harvard Credit Union’s team, the credit union will match the registration fee in a donation to the Cancer Foundation. Space is limited. - Thursdays at 6:30/7pm: May 3rd, May 24th, June 14th, July 12th, Aug 9th, Sep 6th, and Sep 20th. Register for all, or pick date(s) you're available to run. - Swag. After party. Awards. Bag check. Parking. HUECU is Harvard's not-for-profit financial cooperative, open for membership to the Harvard community, teaching hospitals, faculty, staff, students, alumni, and affiliates. Not a bank. A benefit.